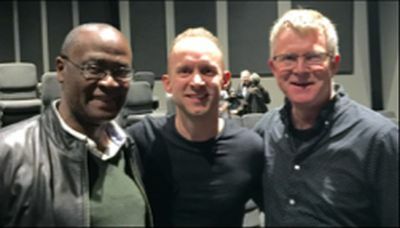 Eric Johnson, local church leader at Bethel Church in Redding, California, centre with South African church leaders Moss Ntlha and John Crumpton during the Bethel Leaders Advance in November last year. A message from Kingdom Come SA conference hosts John Crumpton and Moss Ntlha ahead of the keenly-awaited gathering in Johannesburg from April 11 to April 13. There is a huge shift taking place in the nation. Hope has been stirred up once again, a hope that senses the possibility of positive changes in our great nation. Notwithstanding God’s plan for South Africa, adverse winds have also been stirring up dust and causing many to quickly abandon that same hope. Now is the time for believers to keep their focus on the unstoppable advance of the Kingdom of Heaven. We invite you to pray into the Kingdom Come SA 2018 conference with speakers Bill Johnson and Eric Johnson of Bethel Church. A prayer focus currently is that Father would release to our country and the delegates in attendance, a “word in season” that would provide the necessary direction for the Church at this time. The Johnsons have expressed to us that they are anticipating an extraordinary gathering, that they feel something fresh stirring in their hearts for Kingdom Come. In his final session to the sold-out Kingdom Come SA in February, Bill Johnson spoke prophetically of the need to raise up spiritual fathers in South Africa to create a legacy for the next generation. He and his son Eric were invited back this year to build on the momentum of Kingdom Come SA 2017. Another significant shift we are pleased to announce is that we are relocating the conference venue to Christian Family Church International, situated on Atlas Road, just behind OR Tambo Airport. This auditorium with all of its many facilities will better serve our purposes and strategically is still within the same geographic area as our previously advertised venue (the organisers are trusting there is no inconvenience for those who have already booked their accommodation). As compensation for those who hold parking tickets, they will be receiving a special gift of greater value than the cost of the parking ticket. There will be sufficient food vendors in the church’s food court and additional high quality coffee and food vendors will be set up on-site to cater for everyone. Another shift we are making is the move towards more local content in the worship leading. Bethel’s Sean Feucht is expecting the arrival of another son and has asked that we release him from this trip, but promises to return to SA in the future. We pray for Holy Spirit to prepare all of us for a supernatural encounter at Kingdom Come.